This is the entry to Nemours Garden and Mansion - another of the big gorgeous DuPont places here in Delaware. This one belonged to Alfred I DuPont. The estate is on 222 acres and the 47,000 square foot mansion has more than 70 rooms. I rotated Sketch #3 from Scrapbook.com's May PageMaps 1/4 turn clockwise. This is also for Turtle Soup Inspiration challenge #1 - use black and white plus one other color and Inspiration photo #242 at Just Us Girls as well as for Sketches4all Stacy's May Stash Challenge to use black. 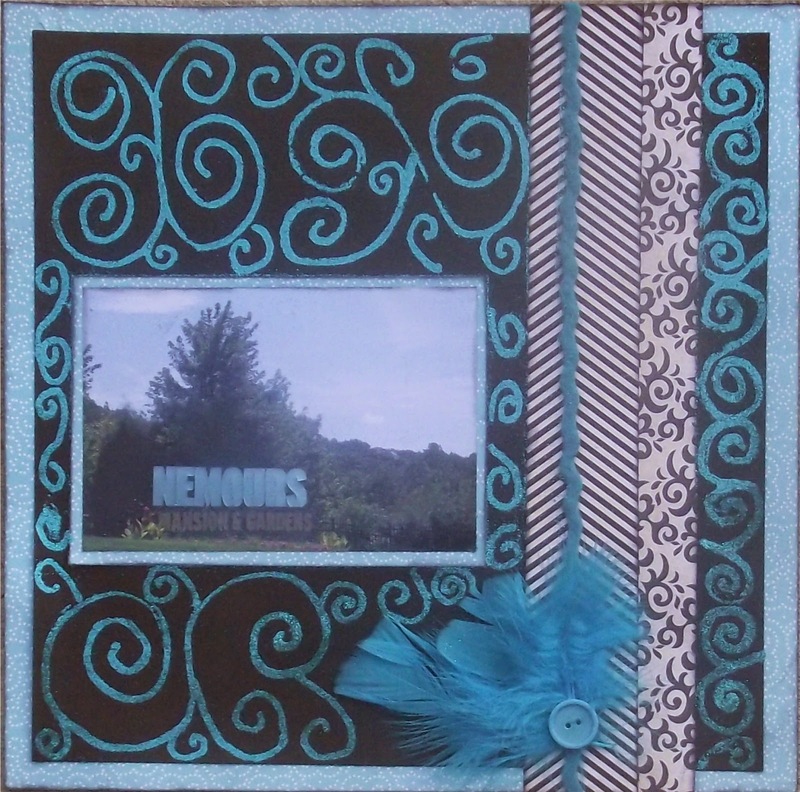 I also used some fun feathers that I got from The Pinque Peacock as my unusual embellishment (as well as some glitter, ric rack and a button) for Lasting Memories challenge LM#190. Nearly forgot to add the layout! Hope that you are enjoying this long Memorial Day weekend and I hope to have more creations to add here soon! A clean and simple layout. I LOVE it, Paula! Great job!! 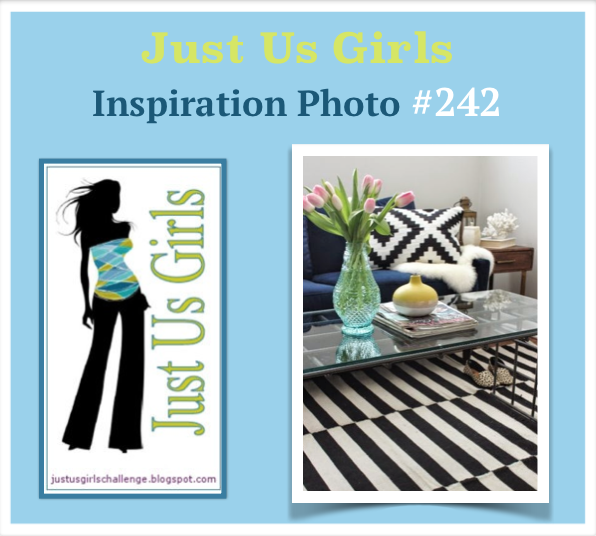 Hi Paula, Love your take on our photo inspiration over at Just Us Girls this week. The feathers are such a great touch with this beautiful layout! Really well done! Enjoy your day! Pretty! Love your product choices!! Oh Paula, what a great layout, loving those feathers. Thanks for joining us at lasting memories. Fun layout! Thanks for joining in with JUGS!